British explorer Robert Scott's weather logs from his final expedition to the South Pole are being used by New Zealand scientists to predict future climate change. 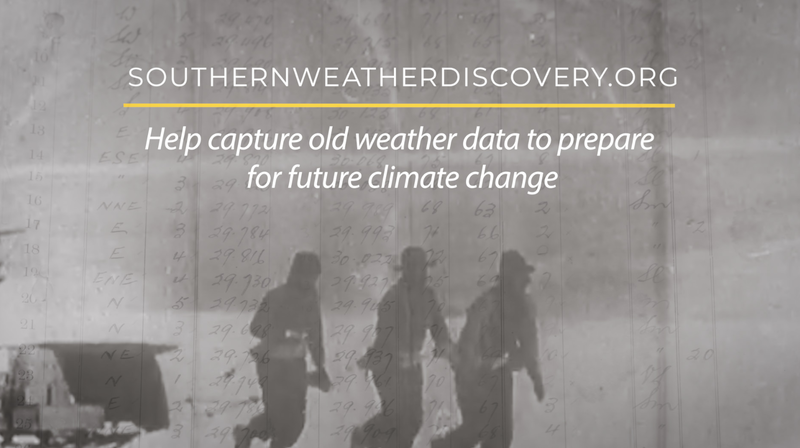 The meticulous recordings from the trip that cost Scott and his exploration team their lives in 1912 are part of more than a million weather observations the National Institute of Water and Atmospheric Research is hoping to digitise for the Southern Weather Discovery project. "It's amazing that they were taking these incredibly rigorous observations when they were in hellish conditions on the ice," NIWA climate scientist Petra Pearce said. Mrs Pearce said the explorers wouldn’t have ever thought that more than 100 years later scientists would be finding a new use for their observations. Records also include those from people on whaling ships, cargo ships and other early voyagers in the Southern Ocean. The project forms New Zealand's role in ACRE, an international initiative tracking the world's climate for the past 250 years. "Europe and the US, you know those oceans, the North Pacific, there's been ships going along there for a long, long time, whereas down in this part of the world we've relatively fewer ships and many fewer observations have been digitised,” Mrs Pearce said. The observations of past weather will help scientists understand what makes the climate change in the Antarctic region and Southern Ocean, which will help them predict how climate change will impact the region in the future, as well as how weather in the area affects New Zealand. But NIWA’s project is now calling on the public to help give thousands of handwritten weather logs an online home. "There's almost no way that we’d be able to do it alone, there's just too much to do,” Mrs Pearce said.